Welcome to Dial Freight Management! Dial Freight Management is proud to be your single source transportation and logistics solution provider with a team of over 40 years combined experience in the transportation industry. Our professionals provide the expertise to transport your freight where you want it, when you need it, on the right equipment, at the right time and at the right price. 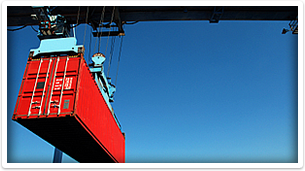 Whether your shipment size is one pallet to an oversize load, local or coast-to-coast or around the world, Dial Freight Management can handle it all. We are proud to be designated as an accredited business by the Better Business Bureau. Our national warehouse network is ideal for variable space requirements over variable periods of time to meet whatever needs exist to assure a successful project. 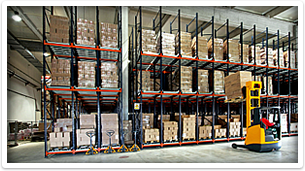 The warehouse personnel are experienced in managing project logistics activity and all the intricacies that are inherent for that service. 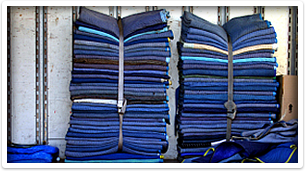 Dial Freight will be there monitoring your blanket wrap shipment through the entire process. Our monitoring process starts before your freight is even picked up and does not end until the freight has been delivered and we have a signed POD in hand. "I would like to thank your company for your excellent service. I know when I contact you we always get the best rate and best service and delivery possible." © 2013 Dial Freight Management.